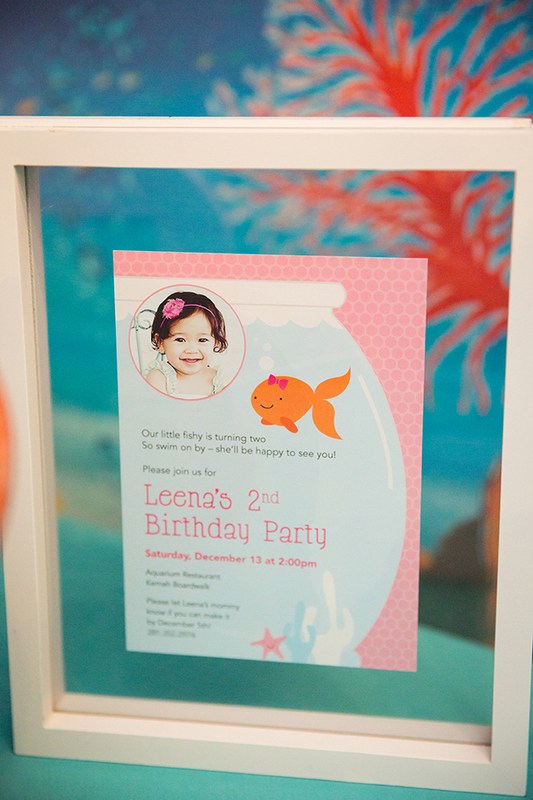 Pink Goldfish Party: Leena is 2! 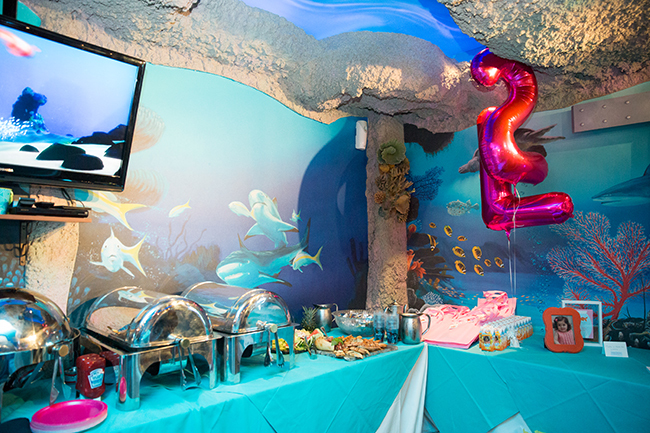 This pink goldfish theme party was thrown by my sweet customer Veronica for her 2-year-old daughter, Leena! 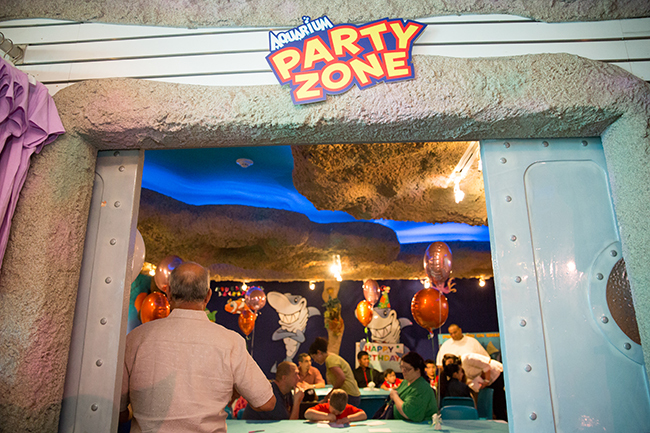 The party was held at a local aquarium in the party room, which served as the perfect under-sea backdrop for the party. 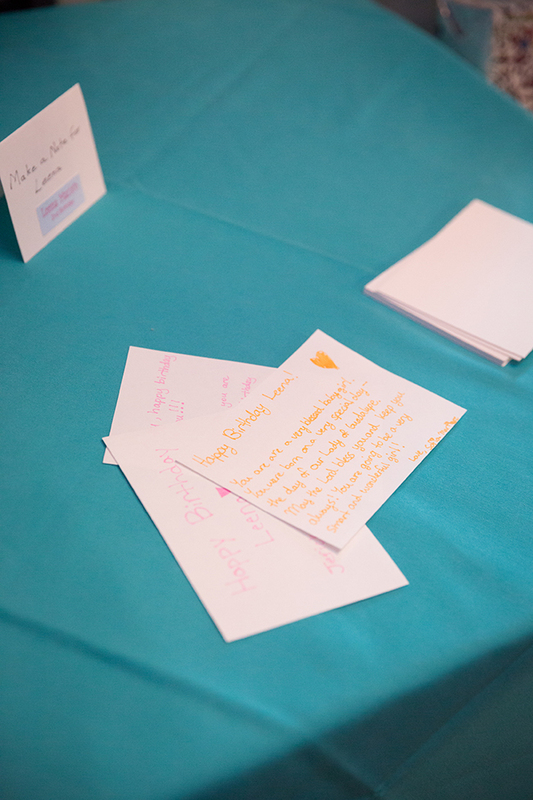 A framed copy of the invitation was on display on the party table. 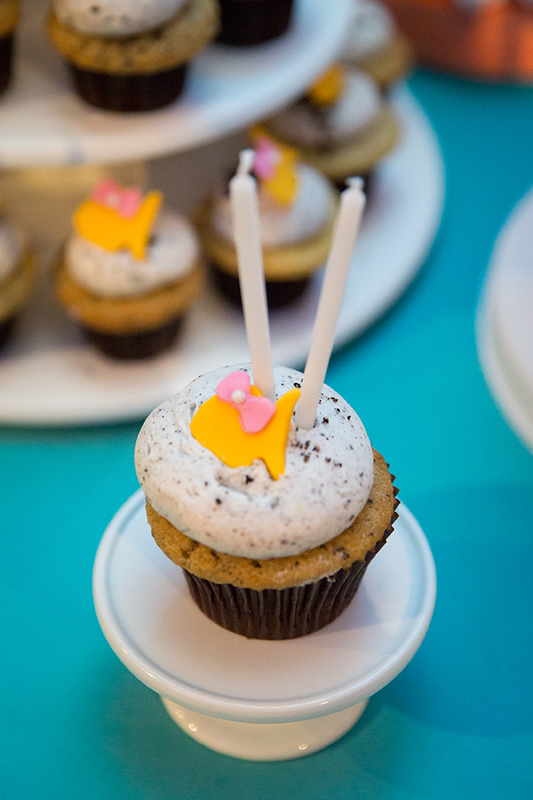 The tiny goldfish fondant cupcake toppers and cake pops are too cute! 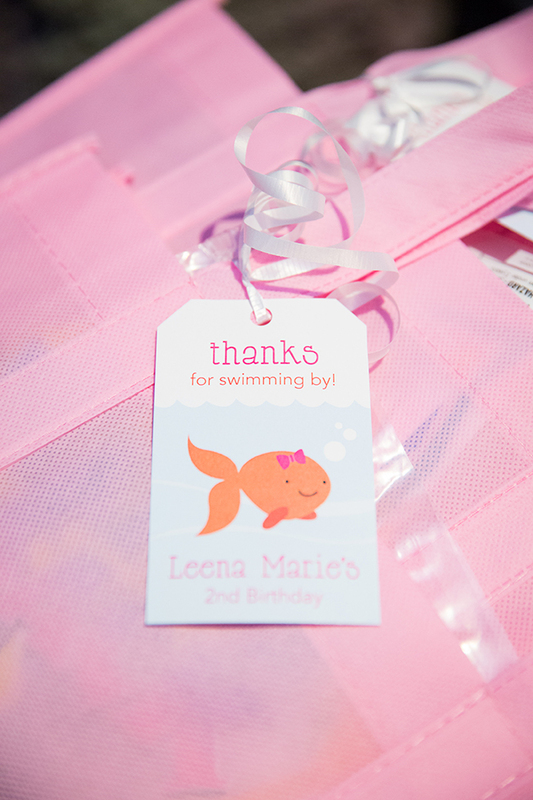 This is a really nice idea for a keepsake – guests were given blank slips of paper so they could write personal notes to Leena. 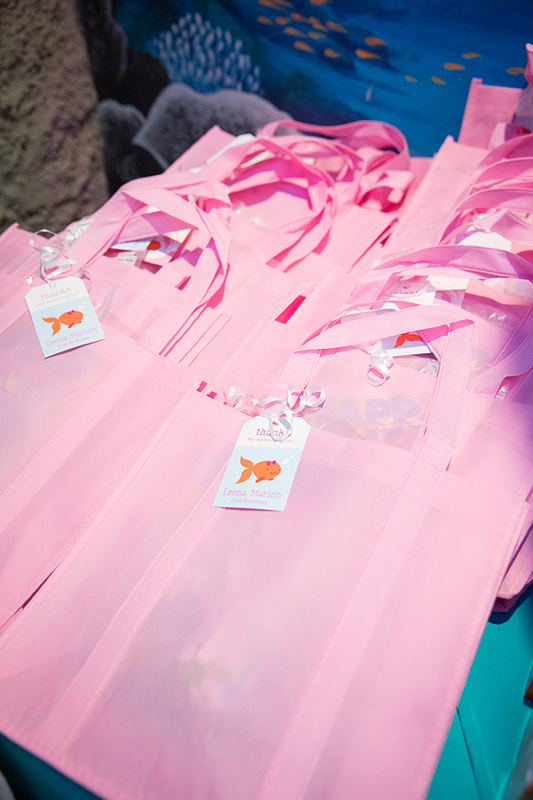 The generously sized goodie bags were decorated with printable favor tags. 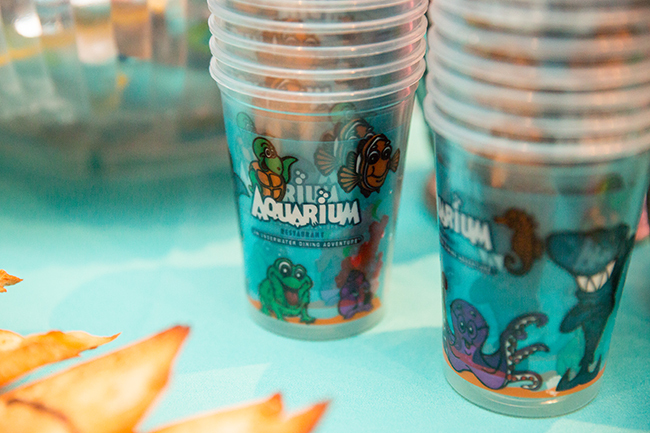 Shop for personalized Pink Goldfish theme party paper goods and printables here. 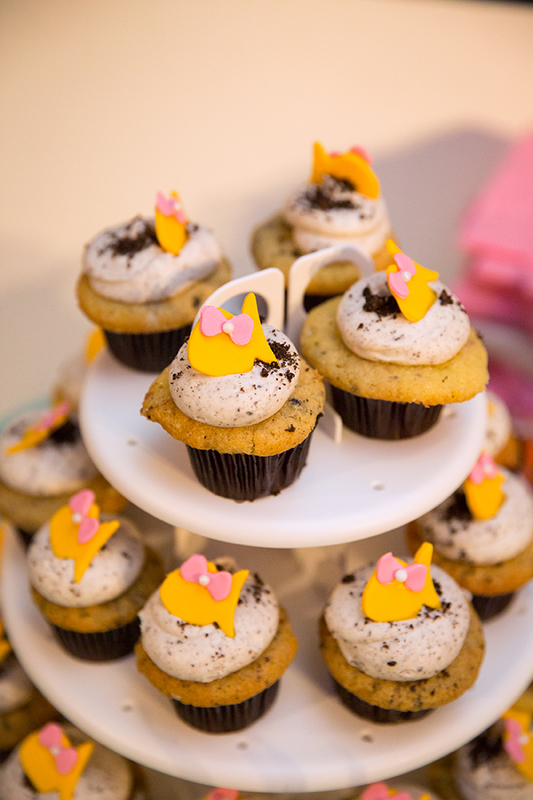 Or, check out more Pink Goldfish theme party ideas on Pinterest or here on my blog! 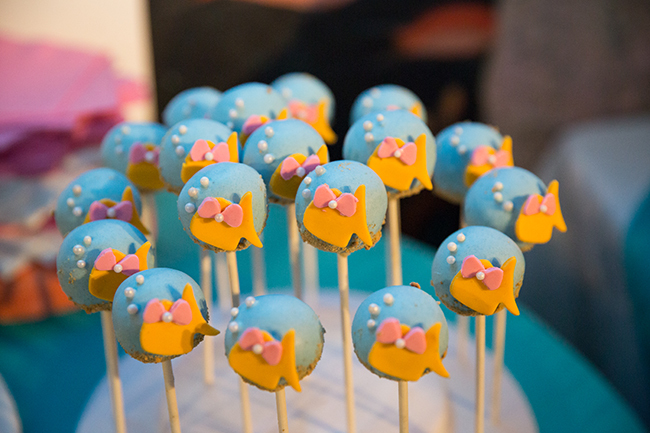 Those cake pops are so cute! !